More than 300 Takaful insurance and technology leaders from across the region converged on Monday (April 9) at the 13th edition of the World Takaful Conference in Dubai with the aim of fostering industry-wide collaboration. Convened by Middle East Global Advisors in strategic partnership with the Dubai International Financial Centre Authority and supported by the Insurance Authority (IA), WTC is being held under the theme of “Differentiation, Innovation & Profitable Growth” at the Dusit Thani Hotel in Dubai, UAE. Renowned industry regulator Ebrahim Obaid Al Zaabi, the director general, Insurance Authority (IA) delivered the inaugural address and stressed on the need for optimizing Takaful’s contribution to the economic growth of the region. Shedding light on the importance of Takaful’s contribution to the UAE’s insurance industry, Al Zaabi said: "Data and indicators confirm the growing role of Takaful insurance in the insurance industry in the UAE. Takaful insurance contributions accounted for about 10 per cent of the gross written premiums in the market in 2017, compared to 9.4 per cent with a value of Dh3.7 billion in 2016." "The Takaful sector contributes almost 6 per cent of the total investments of the insurance sector in 2017, compared to 5.8 per cent with a value of Dh3 billion in 2016," he added. Al Zaabi said the Gulf region was one of the most important areas to influence the growth, trends and prospects of global Islamic insurance. Presenting a keynote address on unleashing the global potential of the Takaful sector, Abdulla Mohammed Al Awar, the chief executive of Dubai Islamic Economy Development Centre (DIEDC), said: "Takaful, in its essence, conveys the sense of a collaborative, caring and supportive society. It reflects a culture of positive social relations, translated into rules and regulations to maximise the benefits for all members of the community." "The opportunities made available by the takaful sector pave the way for a new phase of socioeconomic prosperity. The world today needs fast-growing and low-risk sectors. Individuals and corporations alike require a sense of confidence to invest or pump liquidity into the market," stated Al Awar. "Like other Islamic finance instruments, takaful provides an alternative to the fast-growth model that was prevalent in the conventional financial sector before 2008, but without the outcomes that led to the subsequent economic crisis," he added. Speaking on behalf of the conference’s strategic partner, Salmaan Jaffery, the chief business development officer, Dubai International Financial Centre Authority, said: "With Islamic finance assets expected to grow to $3.8 trillion by 2022, there is a massive opportunity for Islamic Finance. This sector remains a key focus area for DIFC in line with Dubai’s vision to be the world’s capital of the Islamic economy." "The Centre is home to more than 108 insurance-related entities including six of the world’s top ten insurance firms. 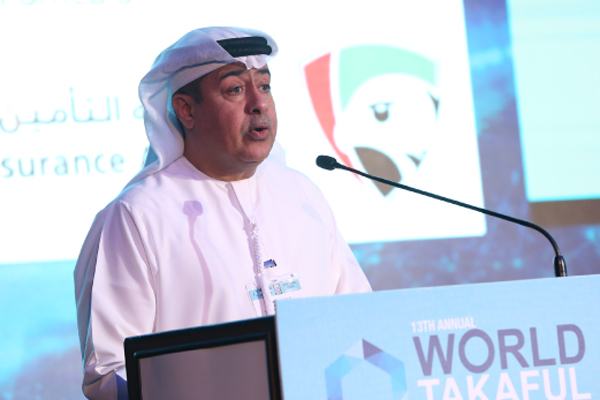 The discussions at the WTC highlighted the need for more collaboration between the various corporations in the Takaful sector as well as the importance of innovation and differentiation for these companies to expand in the region," he stated. "Innovation will be driven by InsurTech and Islamic FinTech. With this in mind, we are pleased to help shape the future of the industry by ensuring they are key areas of focus for the FinTech Hive at DIFC programmes in 2018," he added. Speaking on the exclusive launch of the report, Safder Jaffer, the managing director and consulting actuary Middle East, Milliman, said: "2017 has witnessed record profitability as well as strong premium/contribution growth for both the conventional and Takaful companies in the UAE insurance market." "This has largely been driven by regulatory changes that increased motor tariffs and the DHA mandated medical insurance coverage for the remaining spectrum of the insured in Dubai. Whether this will sustain in 2018 much depends on whether the conventional and Takaful players strive towards sound risk management and underwriting practices –for that the jury is out and regulatory gifts cannot be perpetual," observed Jaffer. An interesting aspect of the conference was the keynote address by Dave Matcham, the chief executive at the International Underwriting Association of London (IUA), who spoke on London being a market with the ideal framework and innovative approach to satisfy Islamic Insurance needs. The day ensued with the power-packed Leaders’ Perspective Panel deliberating on the Profitability & Sustainable Growth for the Global Takaful industry; the Industry Veterans’ Panel focusing on a new vision for Takaful and the way forward, and was followed by a host of panel sessions gravitating around the key themes affecting the Takaful and InsurTech industry at large.